Full name is Pusala Venkata Sindhu. She is an Indian professional badminton player. She became the first Indian woman to win the Olympic silver medal, and one of two Indian badminton players won the Olympic medal - the second Saina Nehwal. Sindhu came into international attention after breaking the top 20 of the BWF World Ranking in September 2012 at the age of 17. In 2013, she became the first Indian woman single player to win a medal in Badminton World Championships. His silver medal win in the women's singles event of the 2016 Summer Olympics became the youngest Indian to reach the final of the Olympic Badminton Tournament and the first Indian shuttler to finish the podium in an individual event in the Olympics. She has totally bellonging to a sports familly. Her total family belonging to sports. She was born on Hydrabad in July 5, 1995. Her father name is P.V Raman. He is a national level vollyball plyer. Her mother name is P. Vijaya. She is also a knational level Volly ball player. She has also elder sister named P.V Vidya is is national ilevel Hand ball player. He eventually started playing badminton from the age of eight. 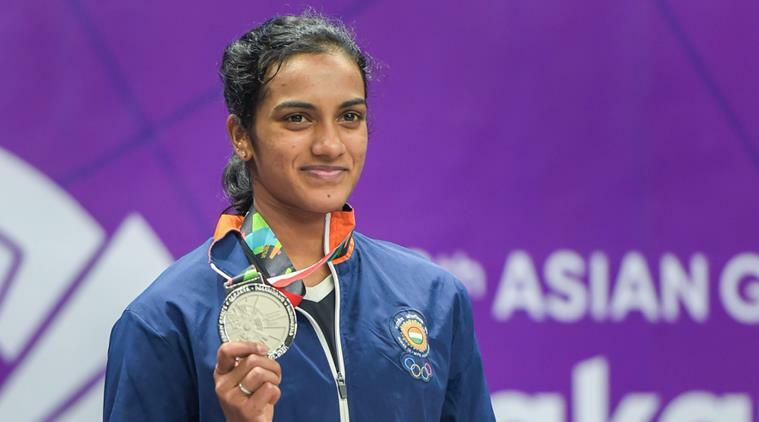 Sindhu learned the basics of this game for the first time with the guidance of Mehboob Ali in badminton courts of the Indian Railway Institute, Signal Engineering and Telecommunication Institute in Secunderabad. Soon after, he joined Pullela Gopichand's Gopichand Badminton Academy. The fact is that he reports on daily basis in the coaching camps, runs a distance of 56 km from his house, perhaps he is a reflection of his desire to fulfill his desire to become a good badminton player with hard work and commitment . In the international circuit, Sindhu was a bronze medalist in the 2009 Sub-Junior Asian Badminton Championships held in Colombo. In the Iran Fujir International Badminton Challenge 2010, he won the Silver Medal in the Singles category. He won the Malaysian Open title 2013, defeating his opponent from Singapore, Gujuan 21-17, 17-21, 21-19. In the Indian Badminton League 2013, Sindhu was the captain of Team Awadh Warriors. His team was qualifying for the semi-finals, where he defeated Mumbai Maratha, but lost to Hyderabad Hotshots in the final. They won the Macau Open Grand Prix Gold title on December 1, 2013 by defeating Michelle of Canada. Top 18th player defeated 21-15, 21-12 in 37 minutes. She has awarded the Arjuna Award by the Indian Government. PV Sindhu reached the semi-finals of the 2014 Commonwealth Games in women's singles competition, which she lost to Canadian Michelle Lee. Later, PV Sindhu made history by becoming the first Indian to win two back-to-back medals after finishing bronze at the BWF World Championships held in Denmark at the BWF World Badminton Championships. In January, Sindhu won the Malaysia Masters Grand Prix Gold Women's Singles title by defeating Scotland's Kirsty Gilmour in the final. She has received Rajiv Gandhi Khel Ratna Award for badminton in 2013. She has received Arjuna Award for badminton in 2013. She has received Padma Shri Award, the fourth highest civilian honor in 2016.